Sweet potatoes are one of the most nutrient dense foods out there. You get a serious bang for your buck with this root vegetable! Packed with vitamins, minerals, & flavor...sweet potatoes are a winner every time. A lot of people like to turn sweet potatoes into a casserole with brown sugar & marshmallows...but these beauties are so naturally sweet I dare you to give this super simple preparation a try. 2. Thoroughly rinse your sweet potatoes. 3. Use a fork to prick holes all over the sweet potatoes. 4. Place each sweet potato on a square of aluminum foil & add 1 teaspoon of coconut oil on each sweet potato. Wrap the foil snuggly around the sweet potato. 5. Place the sweet potatoes on a baking sheet & place in the oven. This is so the coconut oil does not drip all over the inside of the oven. 6. 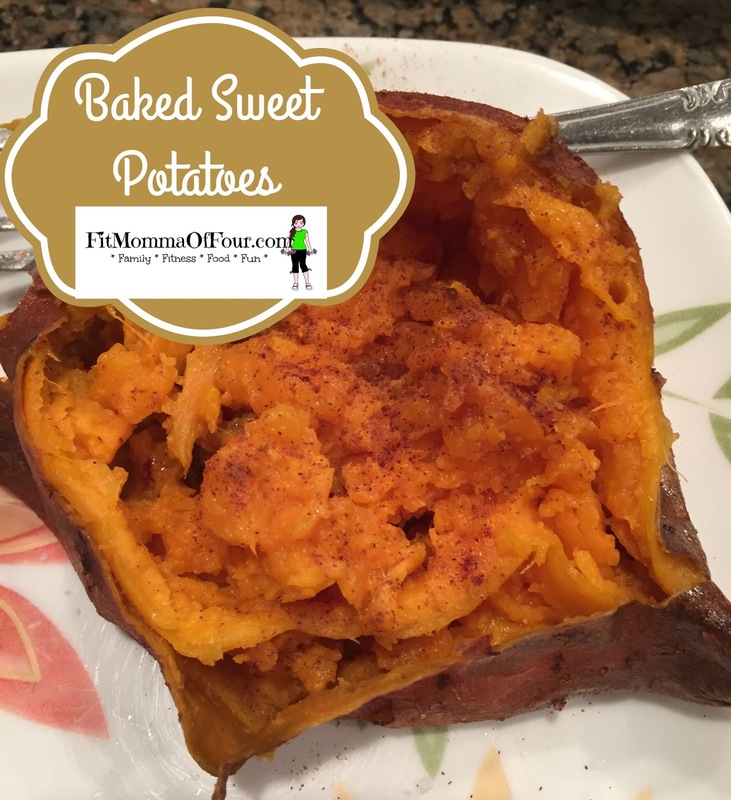 Bake for 45-60 minutes, depending on the size of your sweet potatoes. 7. 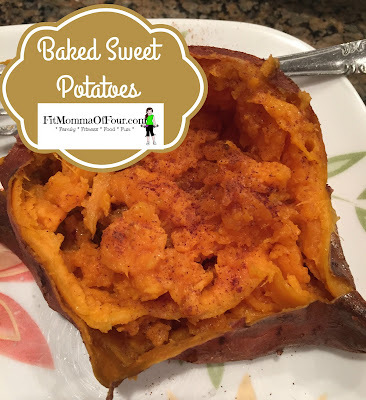 Remove sweet potatoes from foil, slice open, & enjoy! Sprinkle with a little cinnamon & you are good to go. You can add a dab of real butter (skip the margarine...yuck!) or a tad of coconut oil & a sprinkle of sea salt, but sweet potatoes are so flavorful, you really don't need any toppings. Plus the coconut oil we wrapped up the sweet potatoes with makes the skin soft & yummy enough to eat! Check out a great breakfast dish where you can use your leftover sweet potatoes.